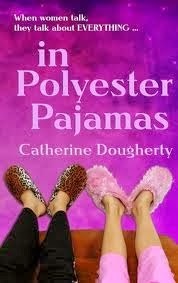 Today we;re welcoming Rosie, the leading lady of Catherine Dougherty’s novels In Polyester Pajamas and In Woolen Bikinis! 2. 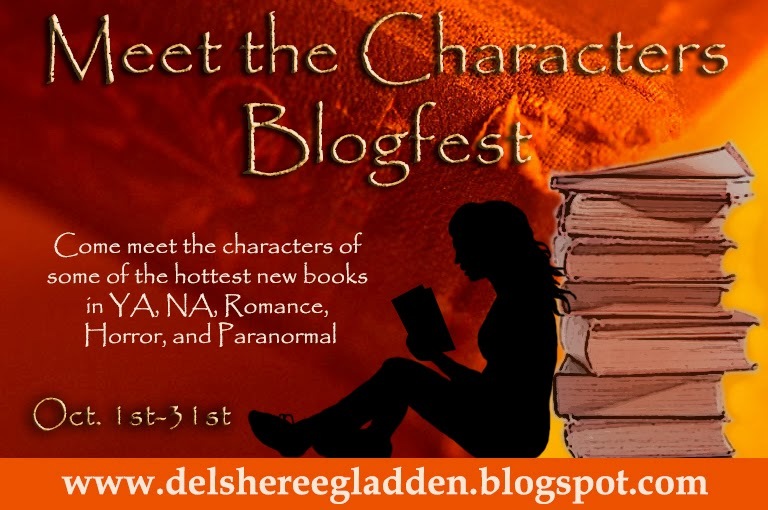 For those readers who are meeting you for the first time, what do you look like? I’m a middle-aged, simple looking woman, and many say I look younger than my current age of 47. I have shoulder-length brown hair (no gray in it yet) and hazel eyes. I weight about 150 lbs. and I’m 5’4” tall. 3. What’s one feature a reader would recognize right away if they saw you? I have a cheery disposition so I smile a lot. Sometimes Jean says my positive attitude can get on her nerves. We met earlier this year when we were both Realtors for the same agency. Her desk was situated right next to mine and every time I smiled, she’d say it was like staring at sunshine and made her eyes hurt. 4. Girls love scars and interesting birthmarks. Any you’d like to reveal to my readers? There’s a small scar on my forehead. It’s the result of a car accident I was involved in when I was five. I lost my mother and baby brother then. The three of us were on our way to my grandmother’s house and it was dark out. My mom was angry at my dad and driving way too fast. An animal ran out in front of us and she lost control and hit a tree. I was thrown from the car before it rolled over. That’s the only reason I survived. 5. Can you tell us a little about your family? As I mentioned, my mom and baby brother died in the accident. My Dad died several years later from a heart attack when I was a teenager. I have a step-mom, Eloise, who is still alive and currently lives in a nursing home. My husband Jack is the love of my life, and we have two grown sons, Jonathan and Tommy. Jonathan is a teacher in Maine and Tommy is currently attending college at the University of New Hampshire (UNH). I want to tell you more about my family, but I can’t right now. You’ll have to read the books to find out. 6. Who are you closest to, and who do you wish you were closer to? I am closest to my family and my best friend Jean. There is someone else I wish I could be closer to, but again, I have to refrain from telling you more. 7. Where do you call home, and has that always been the same place? I’ve always lived in the Lake Region of New Hampshire. It’s my home and I can’t imagine living anywhere else. It’s just so beautiful here. 8. What is your biggest fear? Is there anyone you trust enough to tell? My biggest fear is not finding out the secret I reveal to Jean during our slumber party (in Polyester Pajamas). I don’t know how anyone can live without a very best friend to confide in. 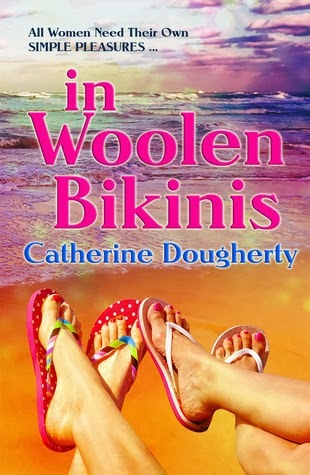 Also, I encounter an issue later on that rattles my faith (in Woolen Bikinis). I am able to tell Jean and my family about it, but it’s hard to because it scares them. 9. It seems like everyone else has a secret. Do you? Yes, I’ve carried one around for a very long time. I tell Jean about it as I’ve mentioned, but even after telling her, I’m not sure if it’s time to reveal it to anyone else and to try to solve the mystery behind it. 10. What makes your character laugh out loud? It’s Jean–Jean makes me laugh out loud. She gets so stressed out over everything and does some crazy stuff. She calls me at all hours of the night and day with her man problems and can be so dramatic. I can remember when she called me from a restaurant because she was lusting after some guy. It took all I had to hold back the laughter. She’s so funny! What a drama queen! She’s also lots of fun to be with. Whenever we’re together, we get into some pretty comical situations. 11. What is one strong memory that has stuck with you from childhood? Why is it so powerful and lasting? It is when my mom and brother died. As you can well imagine, it had a great impact on me. 12. If you could take one night off, where would you go and who would you go with? This is an easy question! I would go with Jean to her cottage at Long Sands Beach in York, Maine. We’d walk along the shoreline, drink wine, eat plenty of lobster and other seafood, knit, dance, and talk all night long. We’d have another pajama party! 13. What does you most value in friends? Honesty and sincerity. Out of those qualities come love and mutual respect. True friendship. 14. Which words or phrases do you get accused of over-using? 15. If you could change one thing about your life what would it be? I wouldn’t change a thing–not even the bad parts. They’ve formed me into who I am today and I like who I’ve become. 16. Some of your friends have special abilities. Which talent or ability do you wish you had? I could be a little more daring like Jean, but I think that time will come. In fact, I know it will in the next book of the series–in Red Leather Jackets. The novel is currently being written and will be released in 2014.